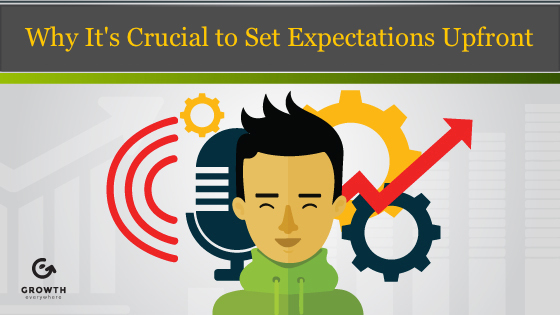 Are you setting expectations with your clients? If you don’t set expectations, you’re setting yourself up for failure. 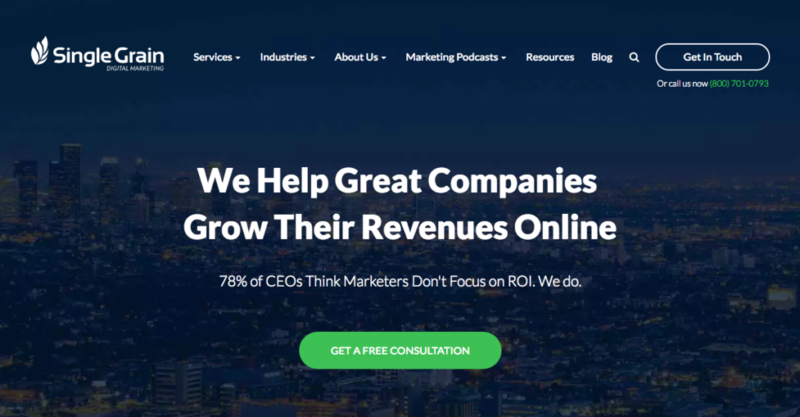 As a digital marketing agency, Single Grain clients are sort of a mixed bag. Some clients are much more demanding than others. We had one client who wanted four hours of in-person time from one of our team members every week. That’s 16 hours of time each month just spent talking to them. We had other clients who worked at much bigger companies and only needed a report every month or so. If a client has an expectation for you to meet four hours every week and those expectations aren’t clearly aligned at the very beginning, you’re just asking for trouble. Any time there’s a mismatch between what you’re willing to do and what the client expects you to do, you’re setting yourself up for failure. It’s the same for personal relationships, too. Let’s say you’re an entrepreneur and you’re dating somebody who is aligned with the 9-to-5 lifestyle. Sometimes your workdays won’t align. If the other person wants to spend a romantic evening with you, but you’re so dead tired that romance is the last thing on your mind, there’s going to be a clash of expectations. My point is, you have to clearly set expectations with clients at the very beginning of the relationship. If you don’t set those expectations, you’re going to set yourself up for failure. Unsurprisingly, our one client who wanted 16 hours of face-to-face time per month didn’t last. But if we had just set expectations with him the first time he asked for that kind of special treatment, we could have avoided the problem in the first place. Let’s say you don’t set expectations up front, but you talk about them later. In this scenario, there needs to be a little give and take. Sure, maybe your client is taking advantage of you a bit, but at the same time you let them get used to that. So that’s their expectation. If you want to scale that back, you need to give them something else in return. If you don’t, then the relationship is going to churn. Here’s the thing with relationships. They either start or they end. If you’re in a service business, your job is to retain your clients for as long as possible. That means doing the best job that you can and meeting their needs. But it also means meeting your own needs so that a long-term arrangement is beneficial to everyone involved. Setting expectations is also crucial for new hires. For example, let’s say one of your employees has a 9-to-5 shift. Sometimes things happen at home and people come in late. I totally get it. But if you consistently come in 45 minutes late, then that’s a problem. There’s a misalignment issue because other people on the team are coming in early. If all of a sudden everybody else starts coming in 45 minutes late, it’s going to spiral out of control. Expectations no longer matter. I was talking to one of my friends about this, and he mentioned that when he began his startup, people would come in pretty much whenever they wanted. But once they got to 100 employees, people had to come in on the dot. Granted, that’s not necessarily the case for every company. But in a service-based business, it’s important to have people come in on time, and you can’t really make exceptions. Even if somebody’s a top performer, if you’re making exceptions or playing favorites, it rubs everyone else the wrong way. If you guys can’t get on the same page and it’s your business, then it might be time to make a change. It’s the same for business relationships and personal relationships. There needs to be alignment, but there won’t be alignment unless people talk things through and expectations are set early on.